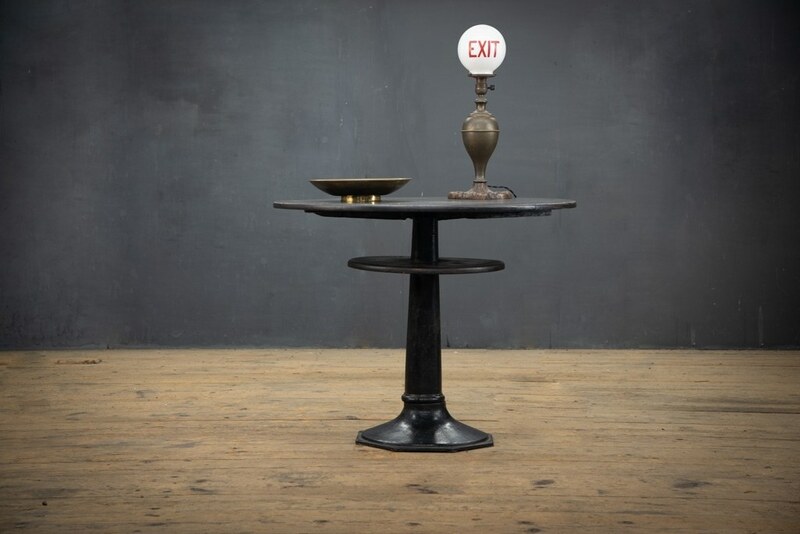 NYC, 1940s, Vintage Tower Building Cloakroom Exit Table Lamp. 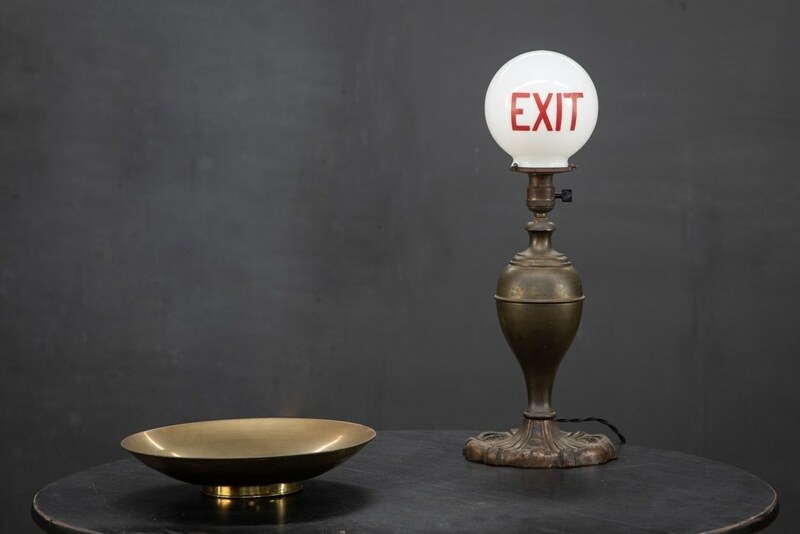 Spun and Cast Brass Lamp Body. 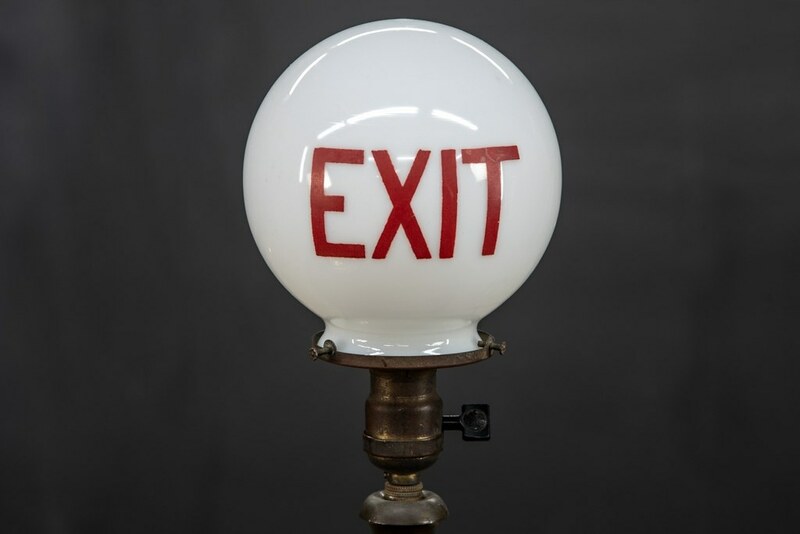 Handpainted Exit Opaline Glass Globe. 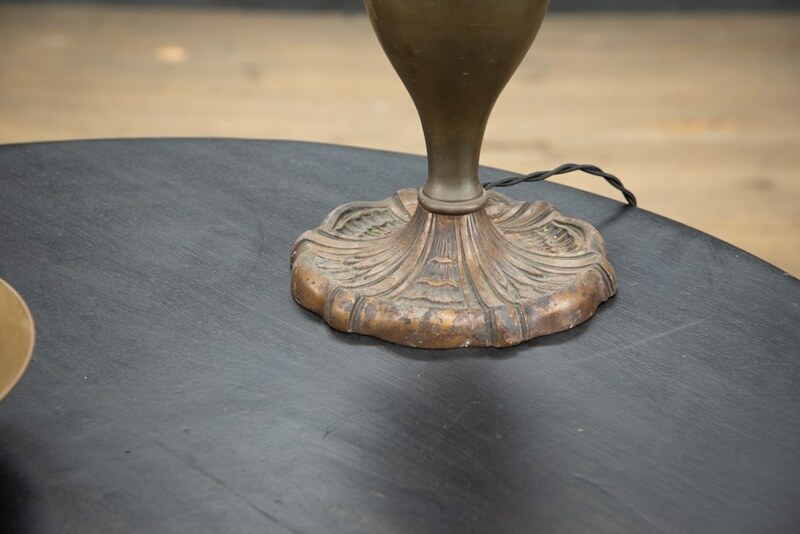 Beautiful Time Worn PatinaEdison Turnkey Socket. Fully Rewired.